Advances in technology have changed the execution of quality audits, compelling today’s accounting and auditing professionals to become lifelong learners to meet the demands of an ever-changing workplace and ensure their long-term career success. Today, quality audits must leverage advanced technologies, such as data and analytics tools as a matter of course. Artificial intelligence, natural language processing, and robotic process automation are becoming more prevalent. These advanced technologies empower auditors; but it’s the people, their skill sets, and their motivation to update and renew their knowledge that make the difference. Training magazine named the firm to its Top 10 Hall of Fame. Organizations that earn this distinction are called upon to share best practices and insights to promote excellence throughout the learning and development profession. Chief Learning Officer magazine named KPMG a Gold winner in its 2018 list of LearningElite, a peer-reviewed benchmarking program which honors organizations for employing exemplary workforce development strategies to deliver significant business results. A survey of KPMG employees by Vault, a company that rates and reviews top employers and internship programs, ranked KPMG tops in its formal audit training. The National Association of Colleges and Employers recognized the firm’s unique KPMG Master of Accounting with Data and Analytics Program for excellence in recruiting best practices, including the training and development of new hires. The Association of Talent Development honored the firm for innovative use of technology in audit new-hire training and for collaboration in creating extraordinary audit training. Brandon Hall presented an excellence award for best use of performance support for the firm’s accounting update micro-learnings program. Meanwhile, in a look to the future, the firm is building its new learning and innovation center in Florida, which will offer interactive, collaborative and engaging learning experiences for KPMG partners, managers and staff. “Corporate learning no longer can be passive, lecture-based sessions. It also cannot be simply on-line programs. 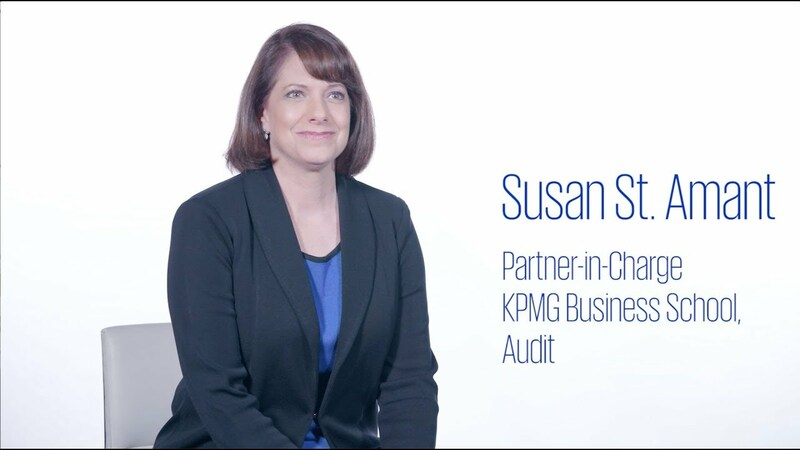 Training programs must incorporate technology, experience-based and engaging sessions, and be customized to an individuals’ needs,” said Susan St. Amant, partner in charge, KPMG Business School—Audit. Audit skills - objectivity and professional skepticism with an intense focus on enhancing quality - blended with technical knowledge and business acumen become invaluable in a world where the volume of available information can be overwhelming. The tools, however, are only as good as the hands they are in.